Check out this infographic on how to treat a minor burn because looks is the only thing that matters thus blemishes are unacceptable. 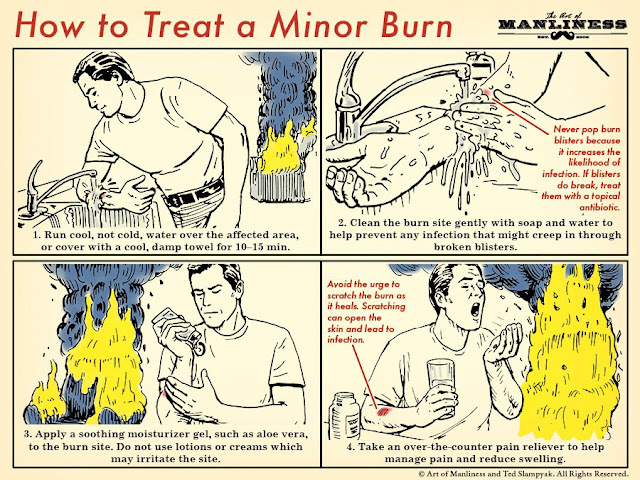 In addition to that, you want to make sure that you do this properly in order to prevent the burn site from getting infected. Turns out you actually have to know some skills to be able to survive in this crazy world that we live in. If a couch caught on fire inside your home though, might want to attend to that first...just saying.